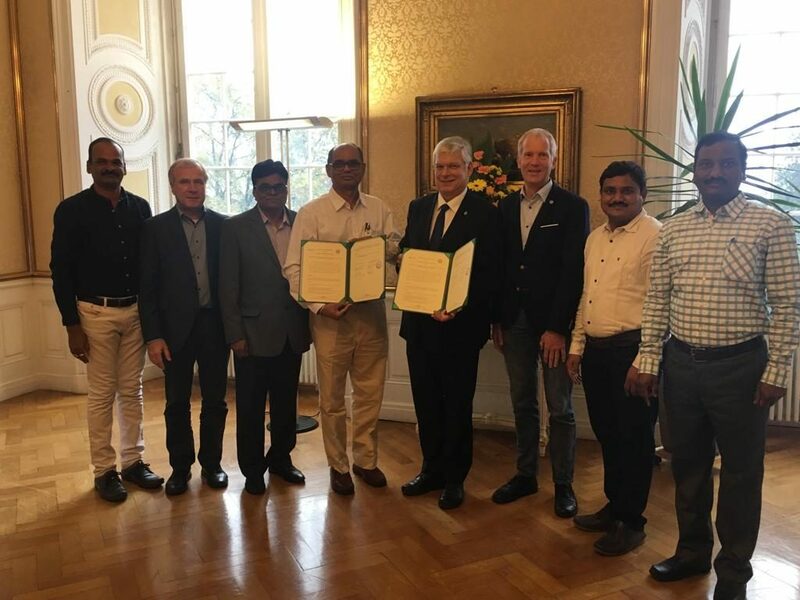 Since 2018 the consortium of ADT Project Consulting GmbH and German Plant Breeders’ Association is facilitating the contacts and exchange of experiences between the Prof. Jayashankar Telangana State Agricultural University (PJTSAU), India and the Institute of Plant Breeding, Seed Science and Population Genetics of the University of Hohenheim, Germany. The PJTSAU is a technical partner of the BMEL funded project “Indo-German Cooperation on Seed Sector Development”. In the period 17.10. – 14.12.2018 three scientists of the PJTSAU are currently visiting Germany to get information about the ongoing research activities in plant breeding & seed related topics in Germany and academic exchange with plant breeding & seed sector scientists of the University of Hohenheim. The aim is to identify specific areas for the future cooperation. Last week also the Registrar and the Director Research of PJTSAU came to Germany and a Memorandum of Understanding for future cooperation was signed on November 13, 2018 by the two Universities.